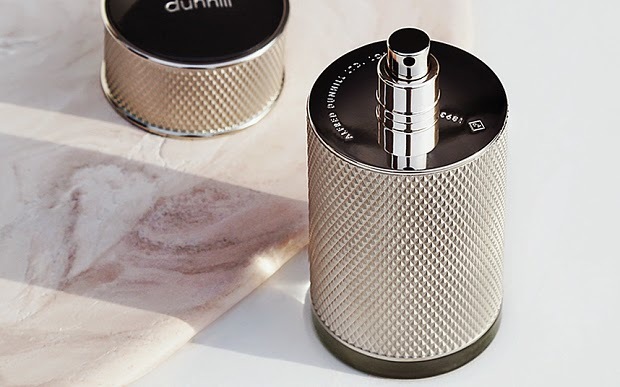 Crafted by Carlos Benaim, Dunhill Icon (2015) is a scent that stands way and above many of the label's past fragrances. A generous dosage of lavender, neroli and bergamot are complimented by smoky notes of leather, oakmoss and oud. The addition of black pepper and cardamom add a zesty spice to this formula. With the fragrance a true masterpiece, the bottle, designed by Mark Eisen, provides a classy home for the juice. The container has been wrapped in a machine-tooled metallic case, linking well with the brand's motoring past. With an excellent scent to go with the awesome packaging, this gritty fragrance is a must have for 2015.